Over the last two decades, LOC.gov, the public-facing website for our nation's oldest cultural institution, the Library of Congress, grew massive and unwieldy. Many of these problems were caused by various divisions of the Library acting independently without any knowledge of what others were doing. Other problems were caused by a lack of expertise in user-centered design. With very little organized structure, hierarchy, or centralized governance, LOC.gov evolved into an unmanageable, disorganized and confusing experience. Enforces the Library's brand identity policies. Provides users with ubiquitous, consistent access to key Library web resources from any page on the site, regardless of user entry point. Defines the site's organization and provides users with an overview of diverse Library content and services at a glance. 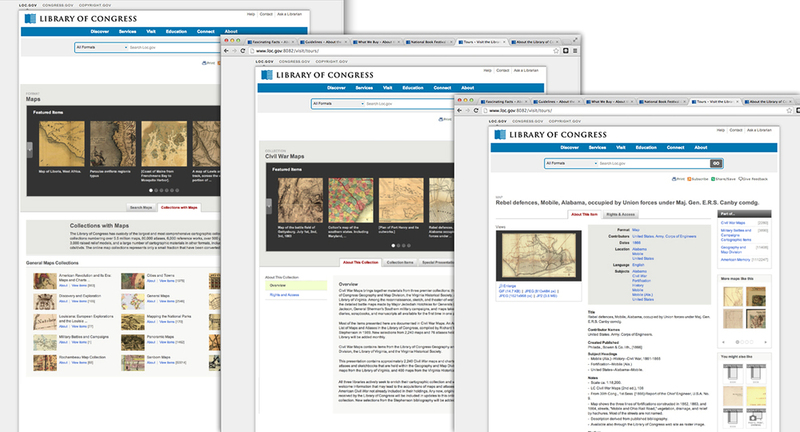 Facilitates navigation between the three core areas of the Library’s web content – Congress, National Library, and Copyright. Highlights areas of strategic emphasis, including Search. Reduces maintenance and management burden by creating a single set of common components to manage and upgrade. Provides additional exposure to Library content, programs, and services currently hidden deep in the Library’s large web site. 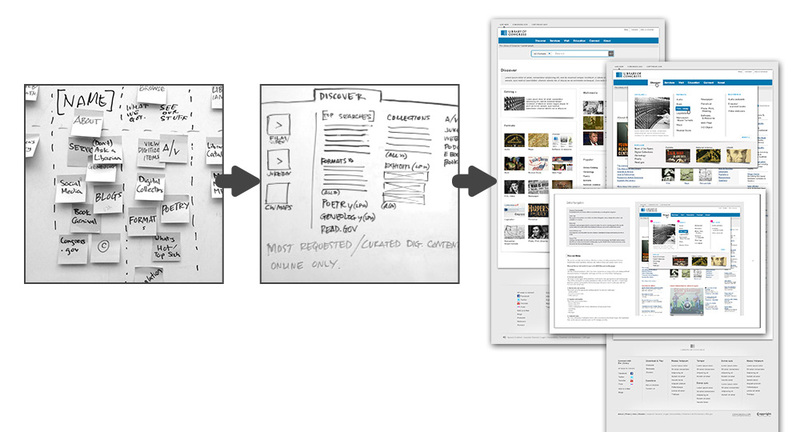 I led the team through the process of putting user needs first and designing form there. The new global navigation for LOC.gov reflects destinations of the most searched terms mixed in with curated links, and was not designed to reflect the structure of the Library as an organization, rather, it focuses on how people search. 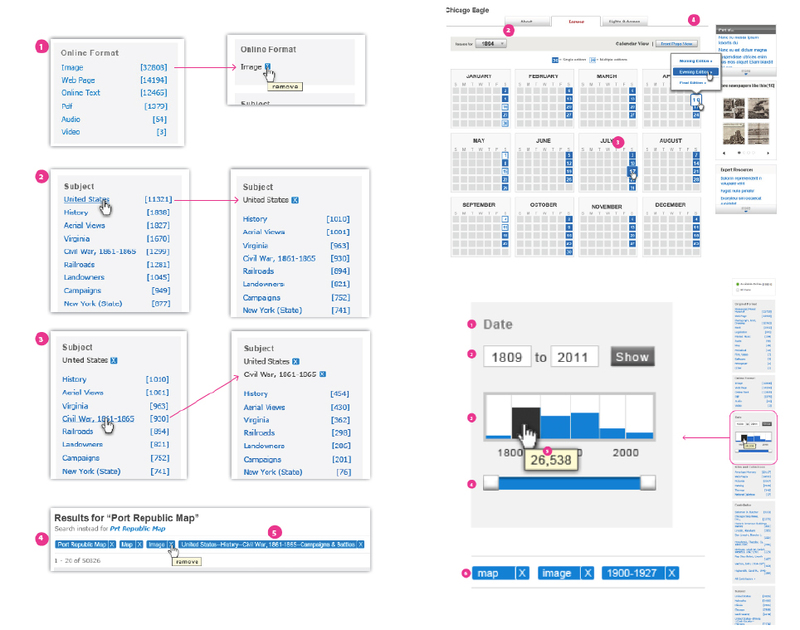 Object-oriented search based on existing meta data provides users a powerful, new way to filter their results, and preview an item before linking to the object detail page. For many complex operations, I defined interaction models and design patterns for the developmant team and provided documentation as detailed functional specifications in high-fidelity wireframes. This template system provides users a context for all digitized items as a stand-alone object, as a part of multiple other collections, and belonging to a set of similar formats as well. 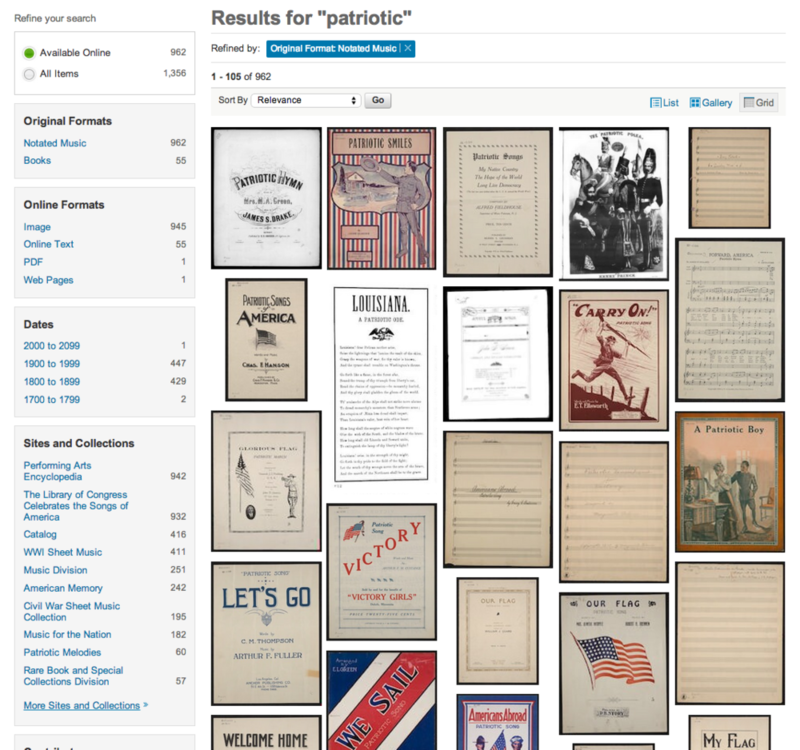 Every digitized object in the Library has its own page with bibliographic details, catalog info, links to relevant content, and a way to view, watch or listen to the item. Every digitized object in the collection has a format associated with it, such as Newspaper, Manuscript, Print or Photograph, and so on. Many items in the Library also belong to collections, there is now a landing page where users can browse items in a specific collection. These collections describe the inter-relationships within a group of objects, and also link to other objects and other collections those objects belong to. We have finally begun the process of designing all new pages, and converting thousands of others, responsively, and for all mobile devices. Once the templates were built with CSS and HTML5, I worked closely with developers to noodle and tweak the images and captions, defining break-points and hierarchy of page elements. Leadership within the UX team, responsible for establishing a scalable system of templates, design patterns, visual language, interactions, wireframes, and documentation. Leading card sorting activities, leveraging metrics, creating design comps, page flows, concept models, as well as on-the-fly collaboration with developers, IAs, Senior management.